Job interviews are a source of stress for many job-seekers, and nurses are no exception. Nursing can feel like a rough and tumble profession when it comes to the high-stakes interview process, and for those nurses who are unsure how to articulate their value, the interview can seem like an insurmountable hurdle. I’ve discussed interviews on this blog in the past, and I’ve also addressed the issue on episode 18 (Job Interviews 101) and episode 59 (Tips For Confident Job Interviews) of The Nurse Keith Show. I recommend those resources as a good place to start when it comes to optimizing your interview skills and strategies. In previous positions as a nurse manager, Director of Nursing, and Chief Nursing Officer, I’ve interviewed a great many nurse job candidates. And in my career coaching practice, I’m privy to the fears and anxieties of nurse interviewees who are feeling the (interview) heat. Many nurses who contact me about interview anxiety are often having trouble owning their greatness and elucidating what separates them from the pack. Standing out from the competition is paramount, and a nurse sitting in an interview has to deliver what makes him or her the ideal candidate for the position in question. If your interview anxiety is all about not knowing how to make yourself shine, this is a calculus that needs to be changed as soon as possible. Where Is Your Passion and Genius? An interviewer wants to know where your passion lies. They would like to hear how you view your place within the nursing profession and how you’re able to bring the best of yourself to the table. If you have special interests, areas of specific inquiry, notable experiences, or larger career goals, making these known can be a smart move. Ambition, critical thinking, the desire to learn and grow, and rich life experience can go a long way towards painting a picture of a forward-thinking, self-aware nurse job applicant who the potential employer would be foolish to pass over for someone else. How Do You Relate to Organizations and Colleagues? Interviewers want to know how you see your place in the world, how you relate to others, and the quality of your relationships with organizations you work for or interact with. A potential employer wants to know if you’re a loyal team player. They also want to know if you value the collective genius of the organization and the people within it, as well as your willingness to contribute to that collective genius as an active participant within the workplace community. Nursing doesn’t happen in a vacuum, it’s a collaborative venture. They want to see that you’re up to the task and if you’d be a good fit for the corporate culture. In a job interview, you’re being very clearly assessed for how you communicate, both verbally and non-verbally. This is so important to pay significant attention to. Your body language says a great deal about you, and there’s no doubt that your interviewer will be “reading” how you use your body to communicate. Crossed legs and arms can demonstrate a closed way of communicating with others, and poor eye contact can betray a lack of self-confidence. Are you busy drumming your fingers on your notebook or tapping your foot out of anxiety? You must also remain aware of your facial expressions during the interview process. Do you smile easily? Do you make eye contact when speaking, or do you look at the floor or to the side? If you have a tendency to frown or wrinkle your forehead when thinking or speaking, that habit could be easily misinterpreted. Self-awareness is key. In your communication, your potential employer wants to know if you’re a boastful person who thinks you know it all and have nothing to learn, or if you’re humble, self-reflective, and willing to acknowledge what you don’t know. They also want to see if you can own your intelligence and be clear about any specialized knowledge you hold. In the bigger picture, the employer wants to know why you’re even there in the first place, petitioning for a position within their organization. Are you just needing to get a job and put food on the table, or are you looking for an opportunity to truly grow as a member of their organization? What do you want and expect from them, and how much are you willing to give? Some employers and interviewers may be seeking to clarify how you define your professional purpose and mission. They want to know what makes you tick. Make it clear. One method of interview preparation is to put yourself in the interviewer’s shoes. What are they after? What are their pain points when it comes to hiring and retention? What is the stated mission of the organization? What hiring mistakes have they made in the past? What would make you stand out from the pack? Which of your answers would shine with the authenticity that they’re dying to hear? If you were the interviewer, what would you want to hear from a nurse applicant? What is it that would make you say “yes” to one candidate and “no” to another? Is it just a gut feeling or is it something else? Finally, when preparing for the interview process, you must think of yourself as a commodity — a brand — that needs to be marketed. You are, in essence, selling your services as a nurse to this potential employer, and for all intents and purposes, your interview is a sales pitch. In business, we identify what’s known as the unique selling proposition (USP) behind our product or service, and we then use that USP to appeal to potential customers and buyers. To sell a product or service, we need to know our target market and use a sales pitch that appeals to their sensibilities. A product or service simply needs to affordably solve a “pain point” (problem needing to be solved) felt by the consumer. 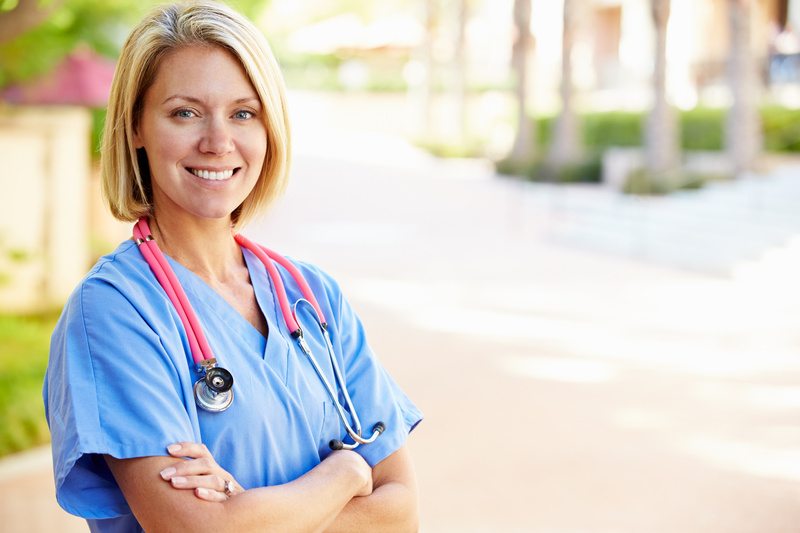 For you and your nursing career, the pain point of your potential employer is that they need to fill a nursing position with the best possible candidate who will give them the best possible return on investment (ROI). Nurse turnover can cost tens of thousands of dollars; thus, a hiring manager wants to try to choose high-quality nurse employees who will contribute in positive ways and remain with the organization for as long as possible. An interview is about marketing, language, mission, purpose, values, and communicating that you, the candidate, have a contribution to make. You need to differentiate yourself from the pack. The relationship between employer and employee is a two-way street, and you can also hold the expectation that the organization will offer its allegiance and commitment to you, the highly valued and valuable nurse.